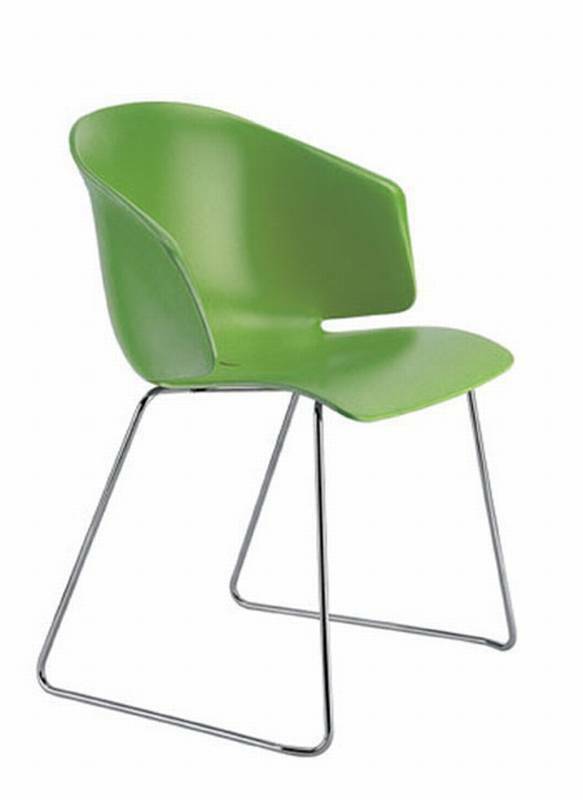 Description Dining chair with a thin curved back that hugs the body, providing comfort and support . The shell is produced in glassfibre-charged polypropylene, a strong material with UV-resistant and antistatic properties. The legs are chromed stainless steel tube, suitable for outdoor use.